Allow international customers to easily pay in their preferred currency. Dynamic Currency Conversion (DCC) is a processing service that enables banks and merchants to accept credit card payments overseas while providing customers the option to pay in their local currency. 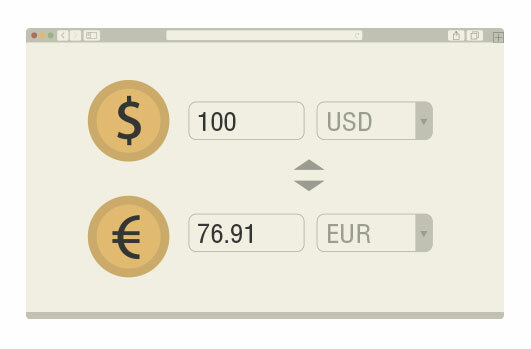 Automatically displays final price at the most recent foreign exchange rate, eliminating the need for currency conversion tables. Enable customers to select their preferred payment currency for each transaction. Generate comprehensive reports with full trace of original and converted currencies and amounts.